Tonight was definitely the night for people new to Capoeira and our academy. The beginners and first-timers stole the show! Mafia taught a great beginners class full of energy and full of new students. 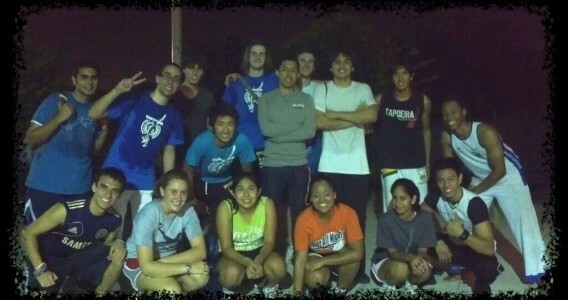 The night ended over at the University of Central Florida where the weekly Capoeira club class is going strong. The class was full of 17 energetic college students who were, almost all, brand new to Capoeira. The class was full of good energy and people who wanted to learn! Like I said before, tonight the beginners stole the show! Do you remember what your first Capoeira class was like? Tells us here, we’d love to know!